NEW YORK, Oct 23 (Reuters) - Pollution from factories and mines is putting the health of 125 million people at risk worldwide and is as dangerous in the developing world as malaria or tuberculosis, according to a…Full story here. For a Canadian perspective, please read about a US-based corporation which was given permission a couple of years ago, to actually increase industrial emissions at its Manitoba wood products plant. EIGHTEEN MONTHS afer being allowed to temporarily shut down pollution control devices at its mill in the Swan Valley, Louisiana Pacific Canada Limited (LP) now has the green light to scrap them indefinitely. Manitoba’s Minister of Conservation Bill Blaikie has accepted a key recommendation from the Clean Environment Commission (CEC). It calls for the issuance of a new license, allowing LP to operate its plant without the use of regenerative thermal oxidizers (RTOs). In its report, the CEC, in eff ect, concedes that the critics were right on at least one count — that the RTOs were cutting down on those pollutants, dramatically. VOCs are an entire category of toxic chemicals, numbering in the thousands. At least two of them, formaldehyde and acrolein, cause cancer. One of LP’s critics also pointed last year to a major US study that showed a link between formaldehyde and ALS, or “Lou Gehrig’s” disease. An expert in industrial pollutants, Charles Simon of the Florida-based company, Precision Analytical Laboratories Inc., was one of three hired by groups critical of LP. In his report is- sued last year, Dr. Simon warned of a 400-fold increase in emissions if decommissioning were allowed. 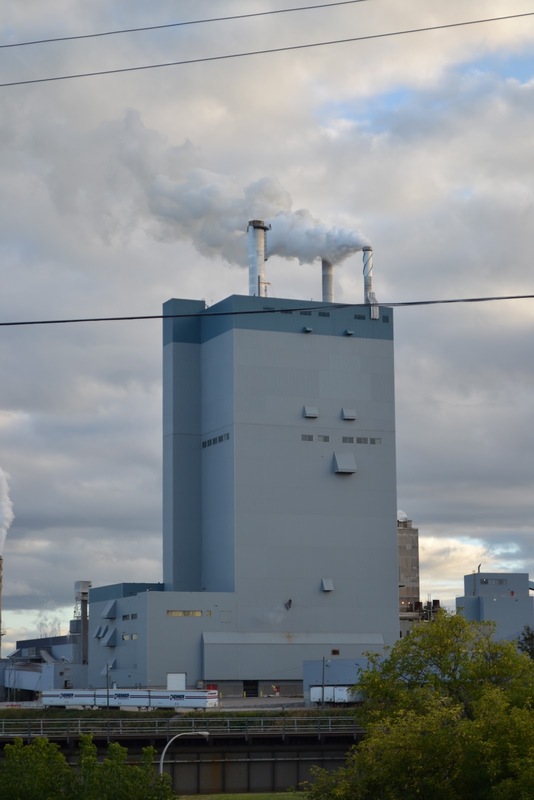 And even with the controls shut down, the many toxins escaping into the air at the plant, according to the Commission, are not exceeding any existing limits governing air quality in Manitoba. Without stating so directly, the CEC also recognized that critics were justified in pointing out that LP placed its air monitoring stations in inadequate locations (upwind of the mill), making it diffi cult or impossible to accurately measure the emissions. The government’s decision in January of 2009 to grant a temporarily RTO closure angered some citizens and environmentalists in the province. They argued that that decision meant much higher levels of toxic pollutants were escaping from the plant than at any time since it opened in the mid ‘90s with the controls in place. In the midst of the uproar, the Minister of Conservation at the time, Stan Struthers, ordered the CEC, an arms-length advisory agency, to investigate the merits of LP’s application to decommission the RTOs. If it was not allowed to do so, LP threatened to shut down its entire plant, throwing hundreds of people out of work. It maintained that the financial burden of keeping the aging controls in place ($3 million per year to operate, $10 million to replace) would leave it no choice. The full Clean Environment Commission report is available at Cecmanitoba.ca. It's very alarming to know what's happening around us. I believe it's time that we should be concerned on the effects of it. An environmental monitoring would be a good start so we can move forward and start saving the environment.